As always, there will be food, displays and shopping to satisfy your craving for everything Italian including over 100 merchants and guest vendors, a line up of food trucks and carts, more than 20 restaurant patios and an array of things to see from Italian honey bees to classic cars and motorcycles. New this year is the Flavours of Little Italy on The Drive Passport (found in Il Giornale, the Italian Day event magazine to hit the streets the week of May 19), which offers a discount on unlimited purchases throughout the whole month of June at some of the Drive’s best Italian-owned treasures. We are giving away 2 all-access passes to the film festival ($100 value). 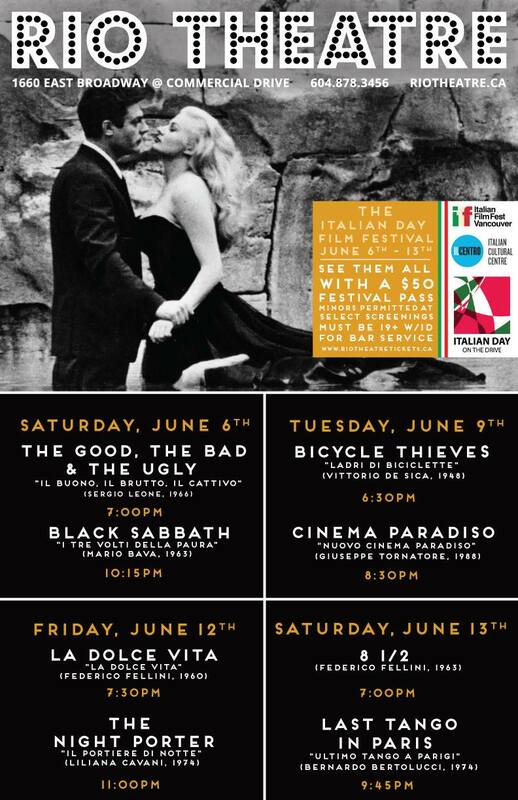 The film festival runs from June 6 to June 13. I really appreciate the cultural contributions of the Italian community in Vancouver. Great pass.